Come a little bit closer... who will dare. 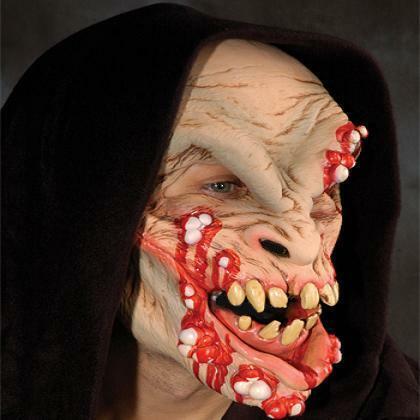 This is one scary mask that is just hard to look at!. Horror screams from its ugly teeth and the oozing boils that cover its puss filled head. This is a face not even a mother could love.